NASHVILLE, Tenn.— Sing the Bible, Volume 2, the highly anticipated follow-up to 2014’s Dove Award-nominated Sing the Bible with Slugs & Bugs, is set to bow March 18. 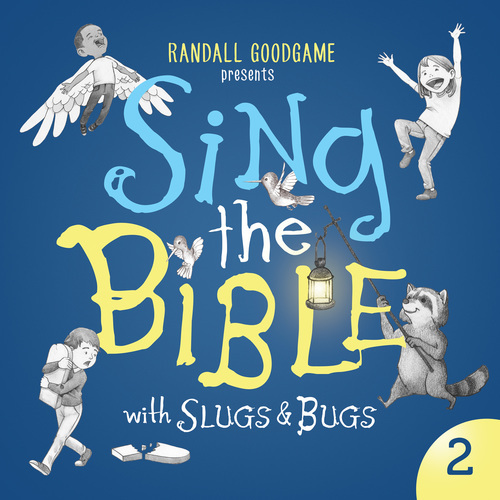 The fifth installment in acclaimed singer/songwriter Randall Goodgame’s immensely popular Slugs & Bugs series, Sing the Bible, Volume 2 was produced by Ben Shive (Rend Collective, MercyMe) and is the second release to feature word-for-word Scripture songs. Throughout the album’s 14 tracks, Sing the Bible, Volume 2 incorporates 43 Scripture verses from 12 Books of the Bible, taking listeners on a journey through celebration, struggle and repentance, culminating in forgiveness. The song sequence tells the story of the Christian life in an accessible format for children, while also meaningful for parents. A singer and sought-after songwriter, Goodgame has penned selections for Caedmon’s Call, VeggieTales, Jason Gray and Ginny Owens, among others. Along with award-winning singer/songwriter Andrew Peterson, Goodgame created Slugs & Bugs & Lullabies in 2007 to an overwhelming response from parents. Goodgame, who now helms the series, has released A Slugs & Bugs Christmas (2010); 2011’s Slugs & Bugs Under Where? ; the Dove Award-nominated Sing the Bible with Slugs & Bugs (2014); and a Slugs & Bugs Vacation Bible School curriculum. His popular Slugs & Bugs LIVE concert for families makes numerous tour stops across the U.S. and the U.K. each year. For further information, visit slugsandbugs.com or turningpointpr.com. Follow Slugs & Bugs on Twitter @slugsandbugs.